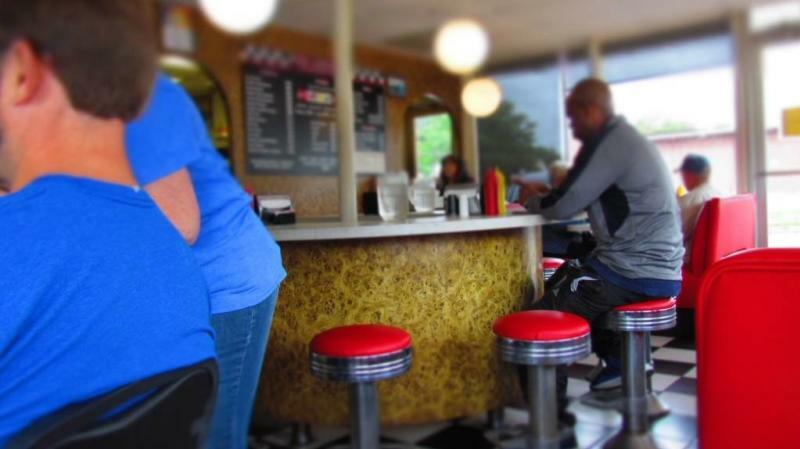 You may wonder how we ended up dining at Bobo’s Drive In during a recent day trip to Topeka, Kansas. We had planned to take our grand-kids, as there were some kid friendly attractions we wanted to research. To pick the right dining establishment, I reached out to our followers for suggestions. 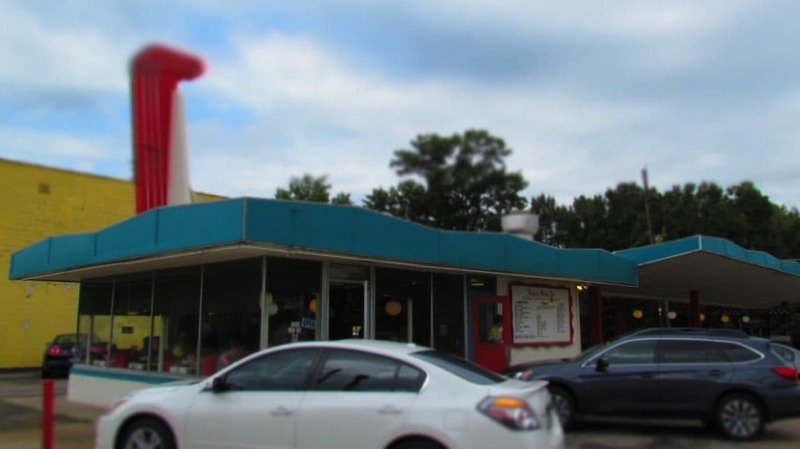 Before long, we had a good list of places that sounded like fun spots for a casual meal. The overwhelming pick seemed to be this old school burger joint, so it was now all but a done deal. 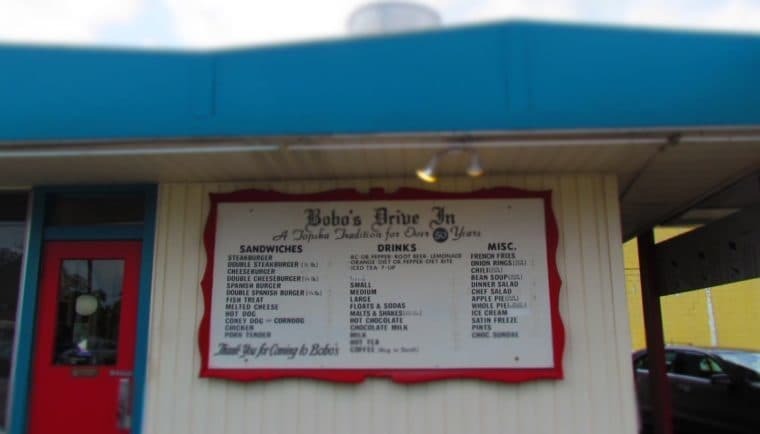 For those that followed our day on Instagram, you had the chance to see some cool photos of Bobo’s Drive-In. When we pulled up, we already knew that this place was popular with the locals. 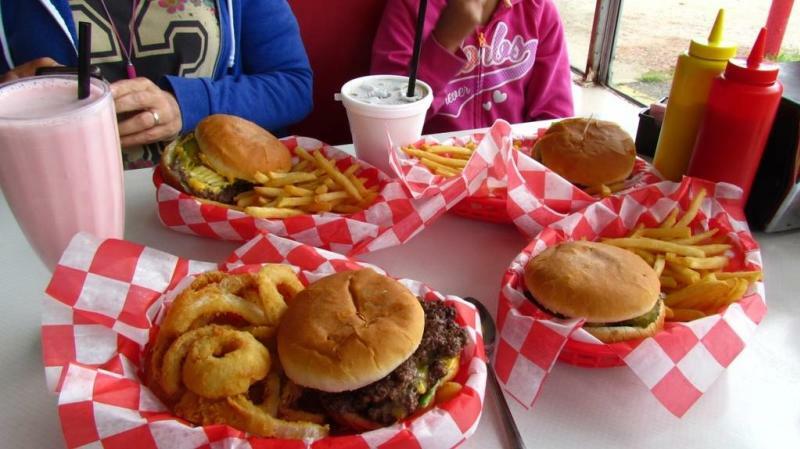 Bobo’s has been around since just after World War II, so they may know a little about burgers. It’s location on 10th Street put it right on our path between stops, so this couldn’t have worked out better. We had been warned that this place didn’t have a lot of interior seating, so we were hoping our timing would be good. When we arrived there was one booth open, which we quickly snatched up. Our server came over, and noticed our camera, so we explained what we do. It is always interesting to see the reactions from people we meet. She walked through the menu for us, and highlighted some of the most popular dishes. After a few minutes of deliberation, we were finally ready to order. Our grandson chose a Root Beer Float, which is made with their house made root beer. I picked a Cherry Shake, since I had read a lot about their ice cream. 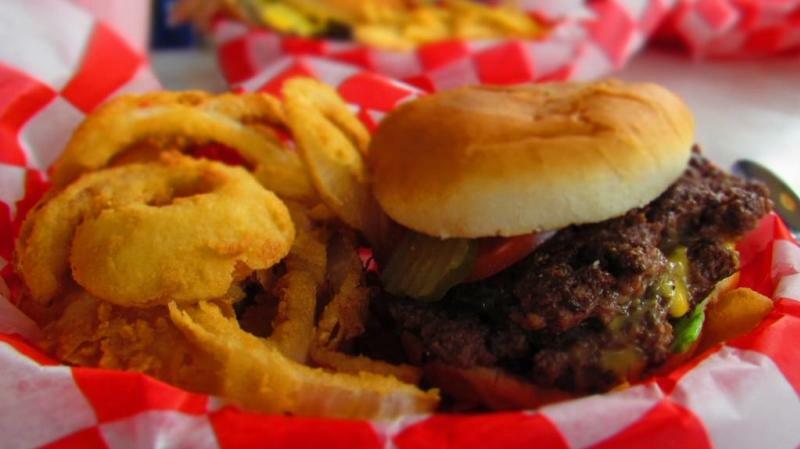 When you visit a place known for their burgers, it is probably best to order a burger. That is what each of us did, but I was the only to deviate on the side choice. The Onion Rings are handmade, and I’m a fan of them just about everywhere we visit. These have that flaky crust which isn’t too thick to drown out the onion. A squirt of ketchup, and I was in dipping heaven. I did sneak a couple of fries from my grandson, and they have a nice crispness. Their burger patties are the type that are thin and crispy on the edges, just like all of those old diners that used to dot the landscape. Clearly this place has had lots of practice, and it seems they have just about perfected the art. It was fun watching the people that had noticed me taking pictures of the food, before we dug in. These days lots of people take photos of their food, but most do it with their cell phones. Before long, the cook came out and asked how we liked our food. He was obviously proud of his product, and that made a nice statement about their quality. With our hungers completely quenched, we said our thank you and goodbyes. Soon we were headed down 10th Street toward our next adventure. Looking back on our visit, we will need to leave room to taste the apple pie the next time we travel to Topeka. We are Crystal and Jeff, a couple of Baby Boomers who love to explore this amazing world around us. Being based in Kansas City, many of our visits are focused in the Central U.S, although we also like to take the occasional longer journey. While jetting away to various exotic locales can be intriguing, we still prefer to travel by automobile, when possible. This allows us to investigate all the nooks and crannies, and root out those hidden gems. Our goal is to show you how we "Visit Like A Local", since quite often the locals will try to keep all of the best places a secret.